The National Institute for Health Research (NIHR) is running a campaign to encourage nurses and midwives to consider a career in research. The campaign – Keep Making a Difference – is aimed at nurses nearing retirement, returning from a career break or seeking a career change. But engaging with nursing students and newly qualified nurses is equally important in getting the message across about how exciting a career in research nursing can be. Research is a large part of the remit of the NHS, with increasing numbers of patients choosing to participate in clinical studies in a variety of specialities. Clinical research nurses are important contributors to the clinical trials workforce. They act as advocates for their patients and help to coordinate clinical trials in acute, community and primary care settings. Yet most nursing students have little exposure to clinical research nursing during their training and are rarely provided with an opportunity to undertake a research placement. This results in limited understanding of the clinical research process and what being a research participant involves for patients. The importance of clinical research and evidence-based practice is well documented, yet I know from my own experience that there is a lack of knowledge about how clinical research can help improve patient care. 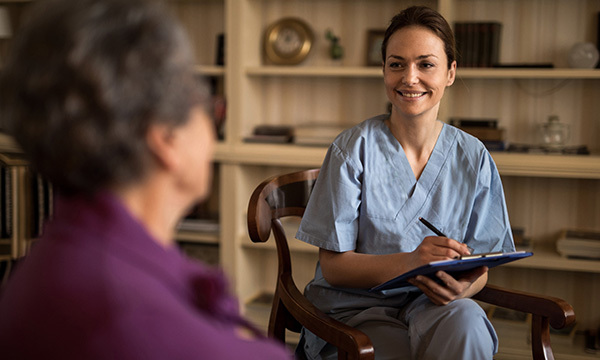 As with many nursing roles, the role of the research nurse is patient-facing and aims to ensure that the safety, well-being and experience of the patient is the best it can be. Some research teams require at least one year’s clinical experience, but there is no right or wrong time to start thinking about a career in research. It’s about exploring which areas of practice encourage, motivate and challenge you to make a difference to patient care. I entered the research field some years into my nursing career, coming from a ward manager position, but I fully support nurses coming into research a lot earlier in their careers. There is some evidence to suggest more effort is being made to provide students with bespoke research placements, but this is inconsistent among universities. Where research placements have been set up, there is growing evidence of the value to nursing students. A 2014 study that looked at a cardiovascular research placement for pre-registration nursing students found that students gained invaluable first-hand experience of the contribution clinical research plays in providing the evidence base for practice. More recently, in a study investigating pre-registration nursing students’ experience of research during clinical placements, students made some valuable recommendations that could be implemented by NHS trusts and universities to improve students’ experience of research. These included increased opportunities to shadow research teams, introducing research earlier in the pre-registration course and including a practical research module in the course. I am passionate about clinical research and the benefits it brings to patients, and feel privileged to have advanced my career to a senior position in this field of nursing. So if you are a nursing student I would encourage you to request a research placement or shadowing visit, and if you are a newly qualified nurse look out for research nurse secondment opportunities within your trust. It is never too early to understand the different ways we can contribute to improving patient care – it is why we chose nursing as a career after all.